Rotary File for Sept 19. 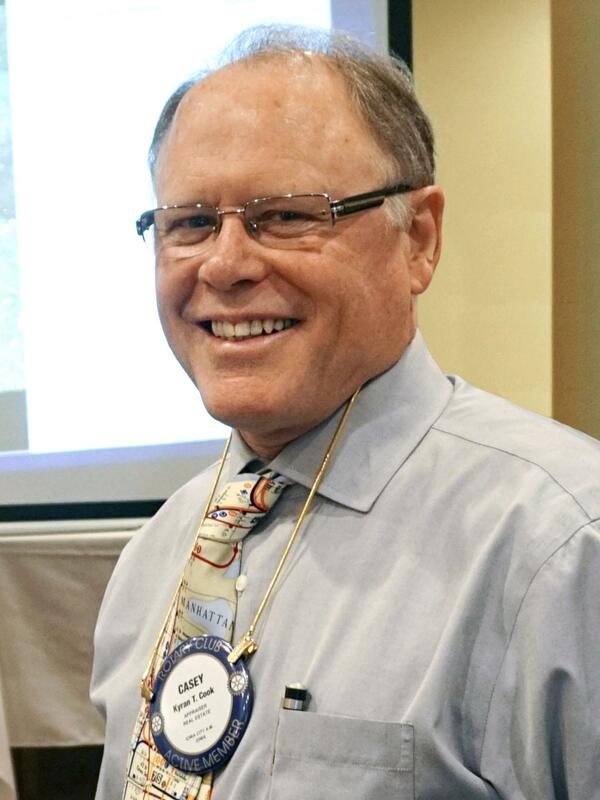 2017 | Rotary Club of Iowa City A.M.
Casey Cook spoke about land development on September 19. 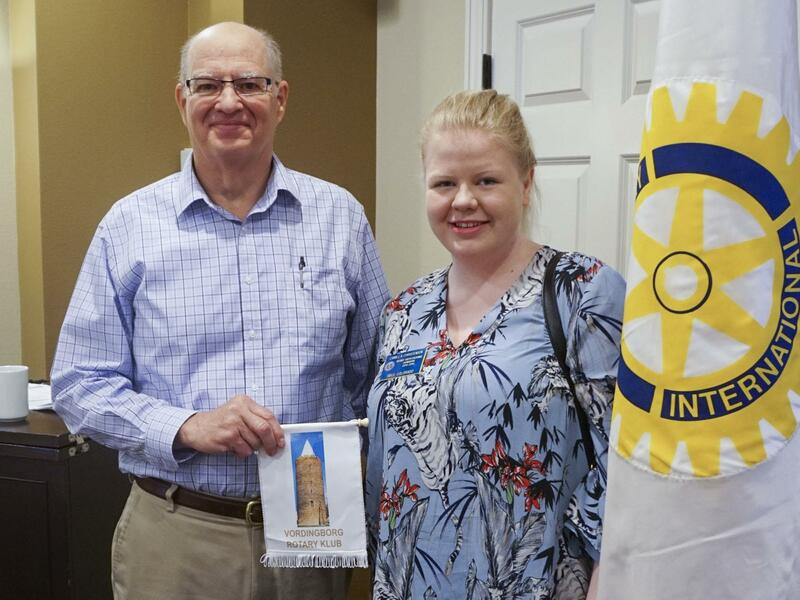 Guest, Camilla Christensen, presented a flag of her club of Vosdingborg-Riflein Denmark. Nancy Pacha talked about the death of Bill Olin from the IC Noon Club and his impact on IA MOST. There were two major gatherings of AM Rotarians in the past several days: last Thursday at the French Dinnert at Val Martin's house and hamburgers at the Knapp's house for those involved in youth services and particularly Rotary Youth Exchange to welcome the new students who have been placed with clubs in eastern Iowa. On Sept. 30 we are recruiting volunteers for Ocktoberfest and it is also the next date for the three levels of training at RLI in Iowa City. Sign up for one of the other if you can. The Fundraising Committee will meet at Phil Peterson's house on Wednesday at 4 pm. The Board meets at 6:45 am this Thursday at Waterfront Hy-Vee. Mark Patton indicated we have received our playground grant through the District. Mark will meet with those who want to be involved in the project at 7:30 Wednesday morning at the Iowa City Village Inn. As usual, there were many Happy Bucks. Casey Cook talked about land development and what works and what doesn't when people try to move a piece of raw land along to one that is "shovel ready." --When the market speaks, listen. --The only viable way to price land is fair market value. --Developers' profit is the difference between its costs and what it is sold for and that can be either a positive or negative number. --It takes infrastructure, planning and zoning approval to change raw land into a shovel-ready project. It often costs more and takes longer than anticipated. --If a partnership in an LLC is put together to buy, hold and develop a parcel of land they need to trust each other, compliment each other's strengths and weaknesses, and plan for a long haul hold in order to make money. --City and company goals are often at odds when it comes to land development; the company wants to maximize profit and the City's aim is to make the City work better. --Groups that form LLCs to do a land project together are Tenants in Common on the purchase of property. They generally all have equal say in a project even if one partner has the expertise or paid more money. --1031 exchange may control whether one can defer tax payments when property is sold, but it often makes property more expensive to buy. --When shares of a property ownership are sold they will probably have to be bought out at a discount. Casey also talked about the development of the Garage Mahaul project including how the plot was "mowed" by Goats On The Go and how they improved on holding costs by putting in solar.